Nothing invokes yuletide cheer like a grand Christmas tree. But to keep the holiday spirit alive—and upright—a sturdy tree stand is a must. 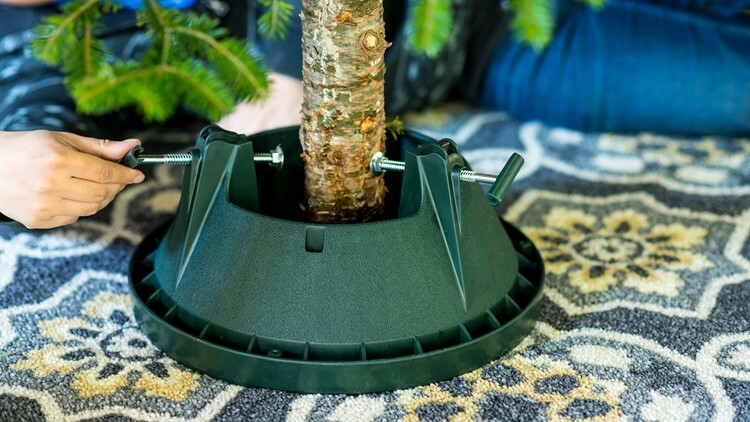 We spent weeks researching and testing some of the best-selling Christmas tree stands on the market to find one that can handle the powerful and tipsy forces of a family holiday. Each stand was lab-tested to check for things like ease of assembly, user-friendliness, and the ability to withstand a solid blow. 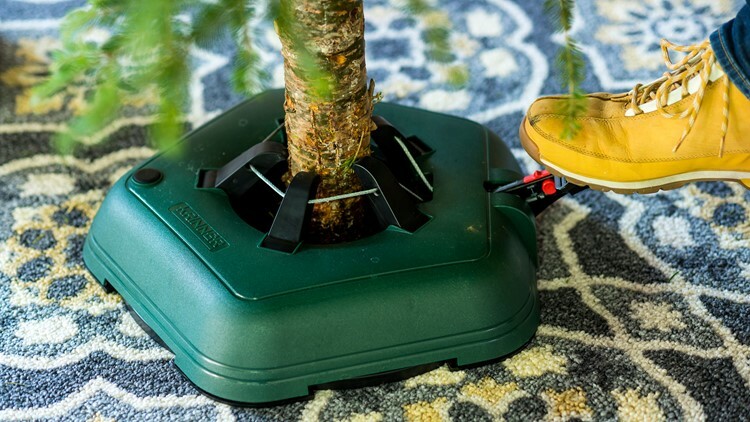 After lifting, watering, and striking a seven-and-a-half-foot Christmas tree with heavy weights, we think the Krinner Tree Genie Deluxe (available at Amazon for $88.99 for the large size) is the best for most households. We breathed a sigh of relief when we opened the box for the Krinner Tree Genie Deluxe–there's no assembly required. Its design allows it to handle any tree up to eight feet tall, but even with a tree that tall it only takes one person to set everything up. This German-designed tree stand has the right combination of materials. Plastic makes up most the interior and the points of contact with the tree, but the gears appear to be made of steel. It's a good blend with the right material in the right places. The genius element of the Krinner is the foot pedal. After placing the tree into the stand, a foot pedal tightens a steel cable and five ratcheting arms around the base of the tree. That's right: No more bending over while another person tries to hold the tree steady. Though that makes setup a breeze, we also found that this system allows for a more even distribution of pressure. During testing, we struck the Deluxe with considerable force and found the extendable legs more than enough to keep our 7.5-foot-tall tree from tipping over. If your Christmas tree is taller than eight feet, we’d suggest getting the Krinner Tree Genie XXL, which can handle a pine up to 12 feet tall. We also tested the XXL and it performed almost identically to the Deluxe. If you're looking for an American-made Christmas tree stand that just gets the job done, then you should check out the Cinco Express C-152E. We liked the fact the bolts had handles that saved our fingers from endless twisting. After setting up the tree, our testing showed that this stand excels at stability. When struck, it barely moved an inch and the bottom has a lattice-like texture to help the stand grip the floor. No, it's not as simple to use as the Krinner, but it's quite a bit cheaper. We also liked the fact that this tree stand is low maintenance; it can hold up to 1.3 gallons of water, so you don't need to water it as much. 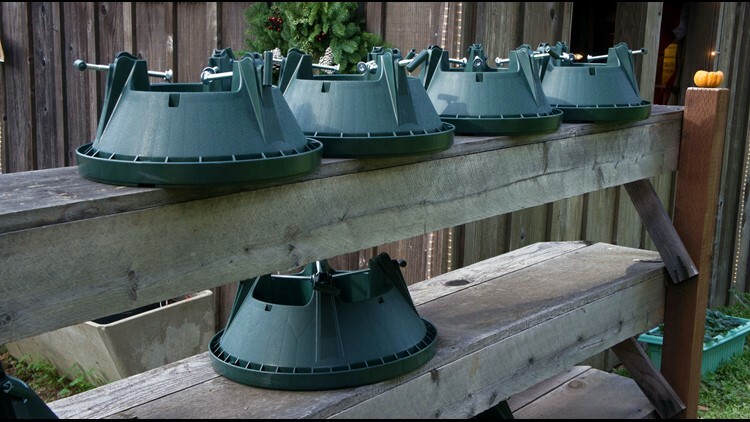 Get the right size: Tree stands are designed for trunks of a certain length and diameter. The real problems happen when you get a tree stand that's too small for your tree. More often than not, your Christmas tree will fall over the moment it goes in. We recommend you follow the sizing instructions from the manufacturer. The materials matter: Ideally, you want a mixture of plastic and metal. The best Christmas tree stands that we tested used metal for the moving parts and plastic in the interior. You don't want metal all the way through because trees have to be watered and that can corrode steel. The exterior should be made of either metal or high-density plastic. Both of these materials resist impact and scuffing so the stand can last for years to come. Watering: According to the National Christmas Tree Association, the general rule of thumb is to take the diameter of the tree and give it one quart per inch per day. So a four-inch tree will absorb roughly four quarts (1 gallon) of water per day. Keep an eye on the water level, and give it regular tap water (no additives) when needed. The contents of this story originally appeared on Reviewed. Follow Reviewed on Facebook, Twitter and Instagram.